Aside from winning a World Series ring, an All-Star selection is one of the greatest honours that can be bestowed upon a Major League Baseball player. While the game itself might be somewhat of a farce, it’s the All-Star selection which most players are proud of. Now while some players are disappointed about being snubbed for the All-Star Game, they can seek solace in being selected as the next best thing; a Moustache All-Star. Here is a collection of the best ‘staches of the first half of the 2012 season. 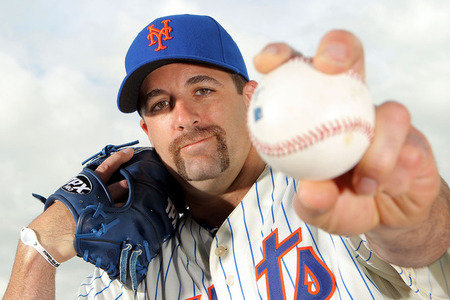 Tim Byrdak has spent the bulk of his career flying under the radar as a journeyman reliever, but he made headlines during Mets Spring Training after showing up dressed as Hulk Hogan. The above image is obviously pre dye-job, but give Byrdak credit for crashing camp as one of the most iconic personalities in wrestling history. Not pictured; David Wright with his homage to Sgt. Slaughter. When the Marlins announced they would be changing their uniforms for the 2012 season, you’d be hard-pressed to find anybody more excited than Kevin Mattison. That’s because his ginger moustache finally matches with the Marlins orange alternate uniforms. A funny thing happened to Daniel Murphy after he recently decided to shave off his moustache; he got better. Following the eviction of the hairs from underneath his nose, Murphy has hit .438 highlighted by a four-hit game on Tuesday against the Phillies. 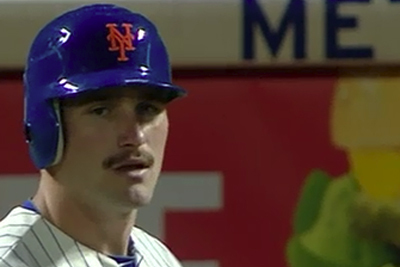 So if shaving his moustache off was his slump-buster, I suppose Daniel Murphy will inevitably have to grow it back to get on a hot streak once again. It wouldn’t be a best staches of the first half list without a token appearance by somebody on the Toronto Blue Jays roster. It just so happens that this year it’s none other than bullpen coach Pete Walker. 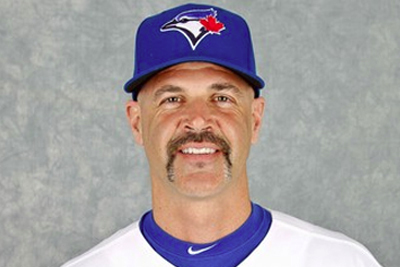 Walker is no secret to the moustachioed arts, as he sported quite the ‘stache during his stint as a pitcher with the Blue Jays from 2002-2006. As far as moustached coaches go, Walker’s isn’t quite as epic as Sal Fasano’s for example, but it’s a valiant effort. 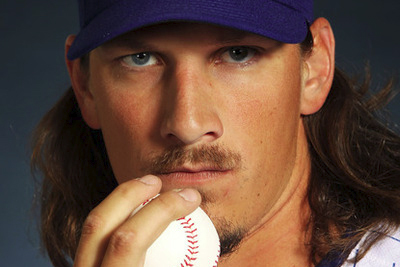 If you hadn’t heard the off Jeff Samardzija prior to this season, you’re not alone. Samardzija moved into the Cubs starting rotation this season, and that promotion was undoubtedly precipitated by none other than his moustache. Looking at his biography, it’s apparent that Jeff Samardzija had the potential for a great moustache all along, as his father Sam played semi-pro hockey. And we all know hockey players have the second best moustaches in sports, next to baseball players of course. 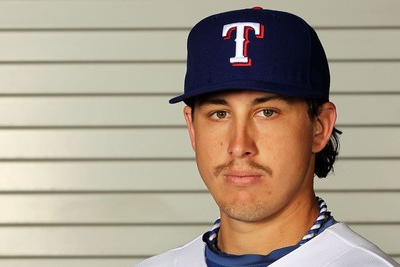 I hesitated to give Derek Holland Moustache All-Star status because the truth of the matter is his ‘stache rivals that of Sidney Crosby as one of the worst in professional sports. But seeing as I need as many moustaches as possible, Holland made the cut … so to speak. 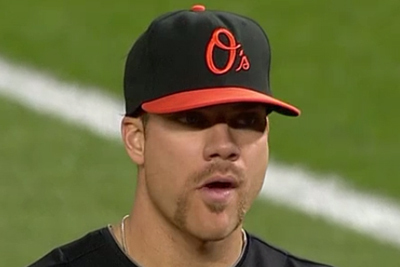 For many years, I had mistakenly referred to the above moustache by Chris Davis as a fu manchu, but according to the American Mustache Institute’s Style Guide, it’s actually a “horseshoe”. Which incidentally is what the Baltimore Orioles have had up their posteriors the first half of the season. Earlier this season, Dale Thayer enjoyed a brief stint as the closer for the San Diego Padres as Huston Street went on the disabled list. Thayer converted 5 straight save opportunities in May and made the most of his appearances as the interim closer. Thayer has since slid down the depth chart a few rungs in the Padres bullpen, but I guess that just gives him more time to devote to manicuring and coiffing that lovely ‘stache of his. The resemblance is uncanny, isn't it! Both are relatively baby-faced guys sporting 'staches. Maybe Travis has been playing as Daniel Murphy all along? 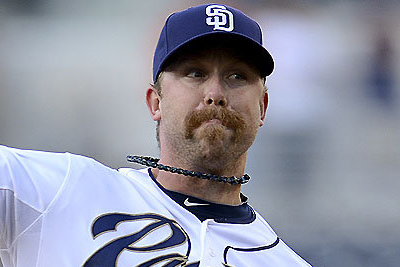 But now Axford is basically a perennial contender for best moustache every year. I just wanted to share the wealth a little bit. That is one scary looking moustache. And not "good" scary, either. Samardzija was a terrific wide receiver for Notre Dame (as much as that pains this U of M fan to say) back in 05-06. So good that he was selected as one of three finalists for the Biletnikoff Award in 05-06. He planned on being a two sport athlete but when he was drafted by the Cubs he quickly changed his mind and took his name out of the NFL draft. he first half of the season." Wah wah wah…what's a matter? 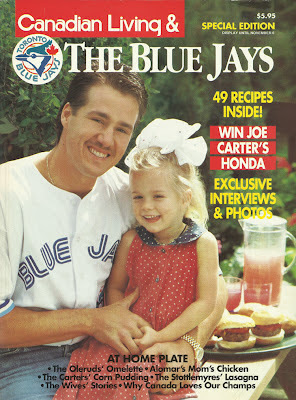 the poor little Blue Jays are jealous of a team who, for the first time in over a decade, are winning?! Gimme a break…don't be mad just because your franchise will never be as relevant or storied as the O's. 6 AL titles to your 2 and 3 World Titles to your 2. 6 players/coaches in the HOF to your 1. 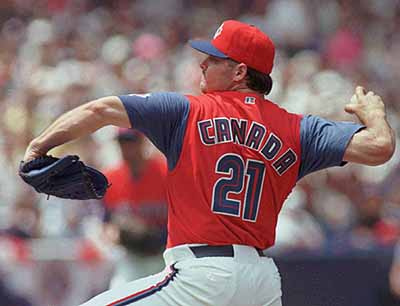 No one even cared about a Canadian baseball team who plays in a lame dome when you guys won in 92 and 93 under that piece of trash Cito Gaston. The O's have the 2 best prospects in baseball and a solid nucleus for the future with young stud players under contract. We're moving up and you guys are…well…enjoy looking up at us for a while! p.s. it's also convenient how no one talks about the young talent that's been hurt on the O's this year. Like Reimold, who was on fire, being lost for the season. The O's have done it w/ much more than luck…even Adam Jones isn't 100% and Markakis is still out, too. Not to mention all the pitching injuries, etc. I guess we'll have to talk again in 5 years and see who makes the playoffs first – the Orioles or the Blue Jays! "The O's have the 2 best prospects in baseball and a solid nucleus for the future with young stud players under contract." haha thats fantastic. how're matusz, arrieta, tillman, wieters all panning out for you guys? the rate you guys convert good prospects into actual major league studs…you're gonna need a lot more than 2 of the top prospects. im pretty jealous of orioles fans this year…ive never been sky diving before and all of you fans are going to get such a good experience plummeting from that pedestal you're currently on. im sorry, it took you guys how long to earn all those titles and championships as a franchise? man…am i jealous of your experience as an orioles fan!!! Sam LeCure – Cincinnati Reds. How was he missed from this list!? Josh Tomlin's rocking a Doc Holliday-esque (the gunfighter, not Roy) stache. Honorable mention to Nick Offerman (Ron F@cking Swanson) for his appearances in the Chicago-themed New Era commericals. Epic 'stache. Has anybody ever seen "My name is Earl" when they flashback to a young "Earl" tell me Derek Holland doesn't look like that kid. Sam Lecure did make the cut last year, just giving some other staches a chance to shine!